Another iconic movie has been immortalized as an online casino game. Softbet has done an exceptional job with Basic Instinct. Sharon Stone would be very pleased with the results. The game has three wilds that show her in several scenes. Players will recognize the music used as the reels spin and when at rest. Sounds change to what each winning symbol makes such as guns firing or a set of handcuffs closing. There are 30 pay lines set in reels with pictures of the star on one side and a night club on the other. 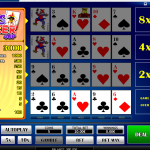 Players can wager a variety of amounts in increments of one, two, five, and ten cents with max bets reaching five, ten, 25, and 50 dollars. 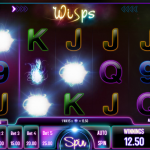 Auto spin has settings up to 100 spins as well as options to stop with low balances, wins of a certain balance and with a jackpot payout. A signature feature for all Softbet games is the player’s ability to click on any symbol on the reel to find out its value. No matter where symbols land on the reel as long as one is on the first reel, all the rest payout. This game has 243 combination wins. 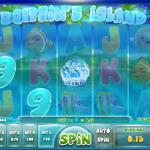 A jackpot is based on the bet level players choose before each spin. There are three wilds in the colors white, green, and red. 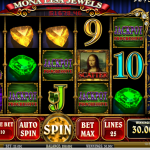 Each has a different design and function such as the white bonus is a wild, green is free spins, and red is a wild drop. Sharon Stone is on each one wearing different outfits. There is also a silver wild that has a stacking feature. Five symbols from the movie include a syringe with red liquid in the background worth 1,500 coins, a cop badge worth 500 coins, a handgun worth 450 coins, a set of handcuffs worth 400 coins, and a black sports car worth 300 coins. Players can also expect the classic four letters and number ten worth a range of coins. They include as much as 200 for letter A and 100 coins for the letter J and number 10. There are plenty of bonuses to go around during regular play. Some wilds double up and appear quickly with scenes from the movie. The bonus round is triggered by the white bonus when it lands on the third reel. Players have to choose from 12 boxes with question marks. To make things interesting, two symbols will be displayed that players cannot choose or the round is over. Examples of some of the amounts include as many as 4,400 coins or as few as 50 coins. Free spins are activated when the green wild lands in the coveted center reel. The red wild drop bonus expands first then drops in place on reels one, three, and five. Bonus rounds happen all the time so players will have the opportunity to rack up huge balances. The red and green wilds do not land as often, but are still offer excitement when they do. The auto spin feature makes things quite convenient so players can sit back and watch the action. Payouts are consistent with large amounts being awarded constantly. The software highlights symbols with glowing shadows, although the only animation is with the wild symbols. This is a minor detail with all the winning experienced for normal spins or during the generous bonus round. This game is a solid five out of five. It deserves serious play time and to be added to the favorites list.